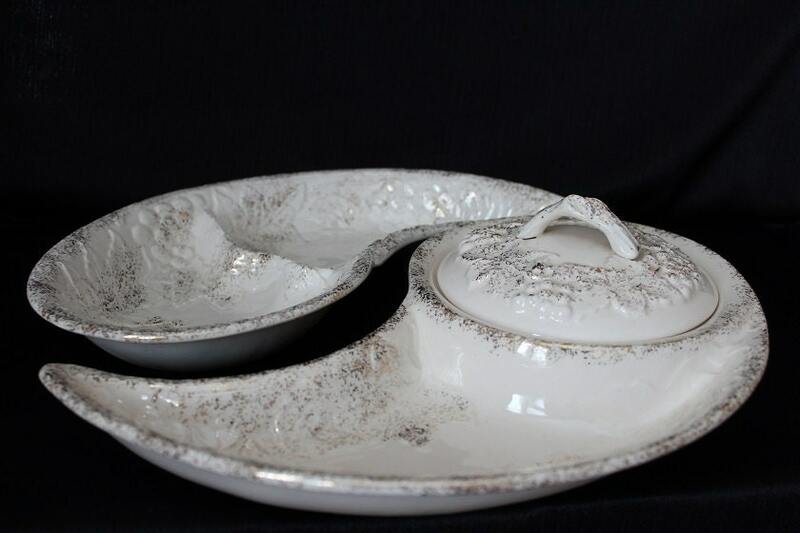 This atomic age serving set was made in the 1950s. It is an overall white color accented with splatters of gold glitter over a grape and leaf pattern. There are separate 2 sections which have a comma shape to them, but when place together, form a circle. 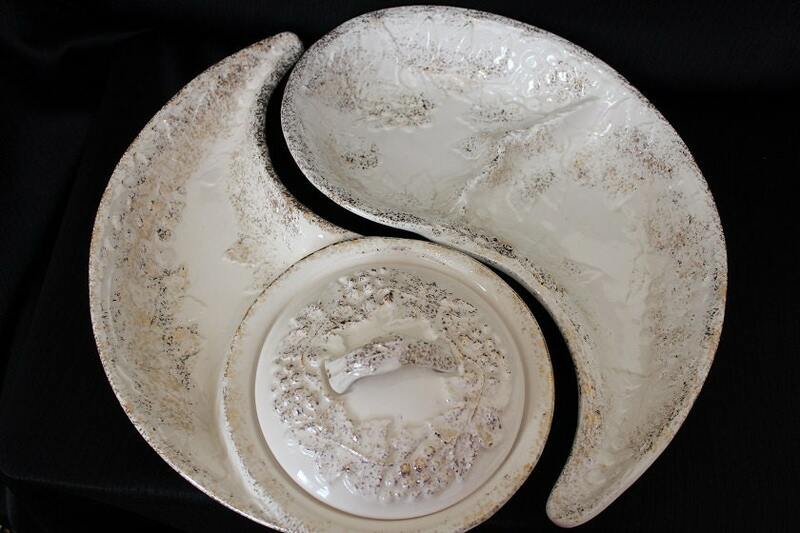 One section is divided in half, and the other section has a round covered bowl. 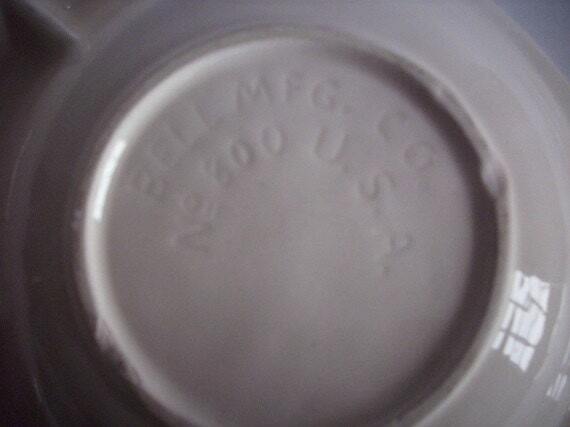 It is marked "Bell Mfg. Co., U.S.A , No 800" on the bottom. 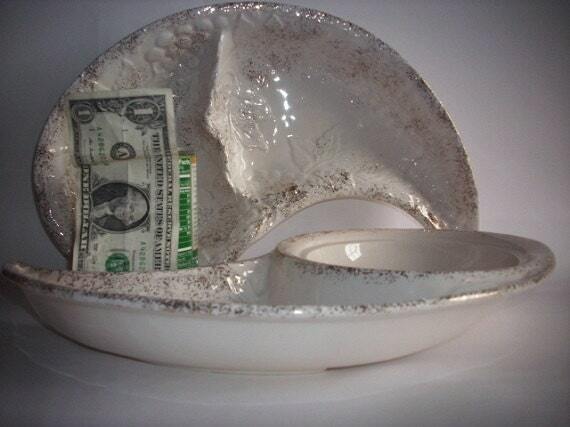 This serving set is in excellent condition. It has a vivid white color with no crazing, cracks, or chips.